While Coleman first got its start developing lanterns and stoves in 1900, it has been a trusted brand in heating and air conditioning for more than 50 years. Coleman is now a division of the Unitary Products Group of York, but the quality of its furnaces has not diminished. If you have one of this company’s furnaces, you are sure to be satisfied with its performance, but mobile home furnace repair is inevitable with any brand. The only problem is that Coleman mobile home furnace parts from the dealer can be rather expensive. 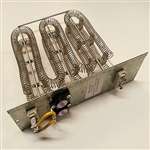 MobileHomePartsDepot.com stocks a large selection of Coleman furnace replacement parts at prices so low you won’t believe it. We offer extraordinary discounts on any part you require, including a Coleman furnace blower motor replacement, a circuit breaker, a fan relay or a heating element. Whether you’re a professional repair man or looking to repair your furnace yourself, we have the products to help you get the job done. Contact us with any questions!